Refugees held in Australia-run immigration detention camps on Papua New Guinea’s Manus Island have asked world leaders attending the Asia-Pacific Economic Cooperation (APEC) summit to help free them. The 21-nation summit starts on Saturday in Port Moresby, capital of Papua New Guinea (PNG), from where dozens of refugees receiving medical treatment were cleared ahead of the event. “We kindly ask all leaders who are participating in the APEC summit to include this issue in your meetings, and put pressure on Australia and PNG to let us go free,” the refugees said in a letter sent to the media. Australia follows a strict and controversial policy of rejecting asylum seekers arriving to the country illegally by boat and holding them in centres for “offshore processing” on the Pacific islands of Manus and Nauru. “We have been kept here against our will by the Australian and PNG governments in a prison camp for more than five years,” said the letter. The refugees claimed they “have been tortured by the Australian and PNG governments and seven of our friends have died because of suicide or medical neglect”. The United Nations has called the conditions at the camps “very shocking”, while human rights groups have called the facilities “open-air prisons … designed to inflict suffering on some of the world’s most vulnerable people”. More than 600 men remain in temporary accommodation on Manus Island after the closure of the detention camps last year, following the country’s Supreme Court ruling they were illegal and unconstitutional. About 1,100 people are currently being held on Nauru including 102 children, according to the Asylum Seeker Resource Centre. 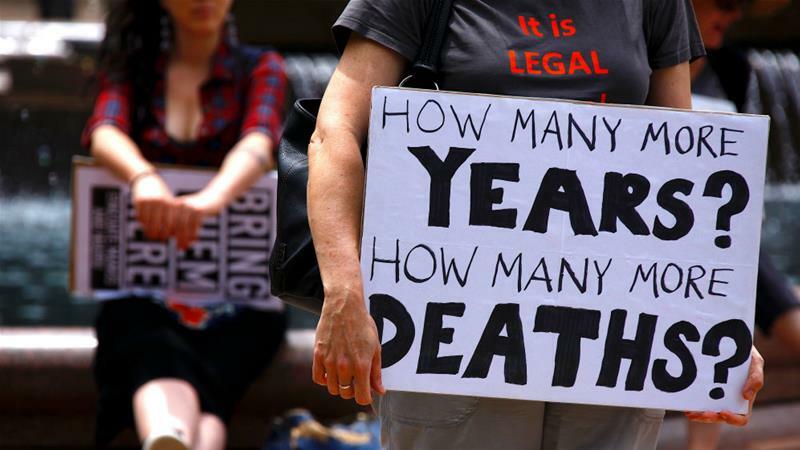 Doctors Without Borders (MSF), which worked on Nauru for nearly a year until it was forced to leave by the island’s government last month, said the mental health situation of the detainees was “beyond desperate”. Some children were suffering from traumatic withdrawal syndrome and were unable to eat, drink or even walk to the toilet. The United Nations High Commissioner for Refugees has also called for the evacuation of the offshore camps given the deteriorating health of those confined there, stressing that Australia has a responsibility to those that seek its protection.